Is My Motorcycle Accident Covered by My Uninsured Motorist Policy? The purpose of uninsured motorist coverage – which most of us blindly have because our state requires it – is so we have protection in the event that we get hit by a driver with no insurance or not enough insurance to provide compensation for our injuries. Most uninsured motorist policies compensate the victim for any amount within the policy limits that would have been recoverable from the at fault driver as money damages resulting from a car collision. 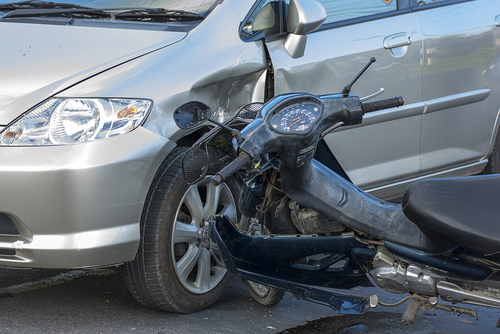 What happens when you are on a motorcycle that is not listed on your insurance policy? Does your uninsured motorist coverage kick in? This issue is usually framed by breaking down the language of the uninsured motorist agreement considers a motorcycle to be an excluded vehicle. But the analysis does not end there. Some states – Maryland is a prime example – is willing to rewrite the terms of an insurance policy to meet public policy objectives. This is done either by judicial fiat or by the state’s uninsured motorist statutory scheme. I’m always telling clients that something in their insurance policy probably in an UM case has been completely rewritten by the General Assembly. Plaintiffs’ lawyers in these cases argue that the state uninsured motorist laws provides protection that extends not just to the vehicle but to the person. Accordingly, this argument goes, UM coverage is broadly construed to cover all motor vehicle accidents. The insurance companies, argue, on the other hand, that its insured should not be able to have their cake and eat it too by doing someone inherently unsafe while not paying for the coverage. There is merit to both arguments. The debate on whether a motorcycle in Maryland is a “motor vehicle” is closed. While a bus or a cab is not included in the definition of motor vehicle for the purposes of uninsured motorist coverage, a motorcycle meets the definition. It is now Ins. Art. sec. 19-505(c)(2). On the issue of whether P’s own insurance policy may limit UM coverage to accidents that occur while P is on the insured motorcycle, see Young v. Allstate Ins. Co., 120 Md. App. 216 (1998).